A promising start by the Murphy Prototypes endurance racing team in this weekend’s fifth round of the European Le Mans Series at Spa-Francorchamps, was unrealised. Whilst running in a fifth place, an accident after 90 minutes was to see any opportunity of a top result prematurely snatched away. 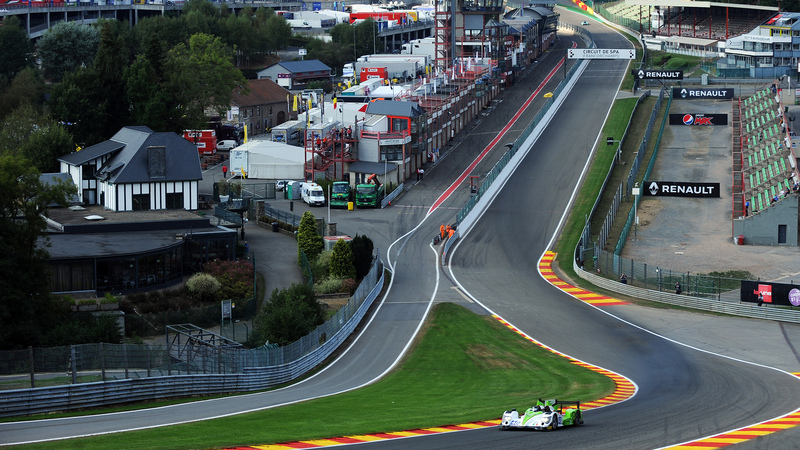 The European Le Mans Series (ELMS) returned to Belgium this weekend for the 4 Hours of Spa-Francorchamps, where Murphy Prototypes continued its programme of supporting up-and-coming drivers with an opportunity to compete in endurance racing at international level. Driving the team’s #48 Nissan-engined LMP2 class Oreca 03R on this occasion were UK-based Garry Findlay (26), who returned to the team having raced at Imola earlier this year; Brazilian Bruno Bonifacio (21), the former South American F3 Champion previously winning in Formula Renault at Spa; and Irishman Seán Doyle (22), who has driven in the previous four rounds this season and continually shown great potential. Saturday’s qualifying session saw Findlay claim 10th place and, with unusually excellent weather embracing Ardennes Forest region, the team was feeling confident about the potential to better the position in the race. Despite a shove by one of the other cars on the way into in La Source (turn one) at the start of the race, Findlay – who was first to drive – pushed hard during the his 50-minute opening stint. An impressive drive saw him run as high as fourth place and stay on equal pace with competitors on fresher tyres. The first scheduled pit stop was executed well and Finlay re-joined the circuit for his second stint in sixth and looking to continue his earlier progress. All was gong well until just before he was due to make his second stop to hand over to Bonificio. Exiting turn eight at Les Combes, the car snapped to the right and made contact with the barrier, the incident causing the safety car to be deployed while the Armco was repaired. “I was literally on the in-lap to the pit stop to hand-over to Bruno and the car lost grip. There’s not a great deal of run-off at that point and it gets narrow, so the barriers are very close. I’m disappointed for the whole team, particularly given the pace we were showing up to that point”. “We were doing so well and were right on the pace”, said Team Principal Greg Murphy. “We were running in P6 before the accident and making up ground on the guys in front of us. Garry had the off just before we were due to do a full pit stop, which finished our race. “Of course, I’m very disappointed for the whole team, especially Bruno, who was literally ready to leap into the car. This was his first race in LMP2 and from his performance in the practice sessions he looks to be a promising young driver. I’m also disappointed for Sean, who was going to do our final stint. He said he loved driving the circuit had shown he had the pace at Spa, just like he has in all of the races this season.